Here's an HD bundle I never thought we'd see. 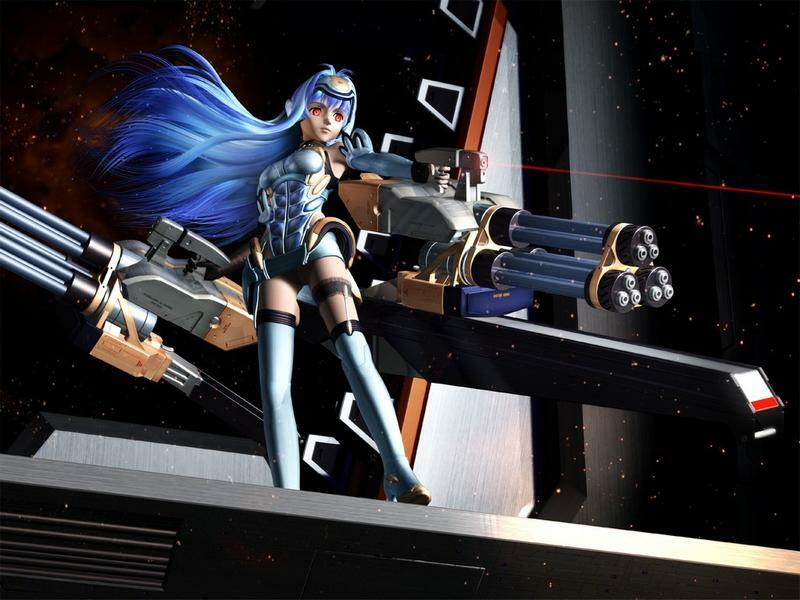 Tekken director Katsuhiro Harada wants to bring back the Xenosaga trilogy from the PlayStation 2 days as an HD Collection, but he needs the support of "tens of thousands" of fans to do so. With this kind of aid, he might be able to convince his executives and get the ball rolling. What the heck is a Xenosaga you ask? History lesson time! Final Fantasy X exploded onto the PlayStation 2 in December 2001, and it looked like nobody was ever going to catch up to its towering success. However, an unlikely challenger from Namco, not exactly a traditional RPG giant at that time, stepped up to the plate with a recently formed studio named Monolith Soft, a group of developers with experience working on Square's Xenogears. Together, these two companies proposed sky-high plans of an epic six game series of cinematic space-opera greatness. Xenosaga Episode I: Der Wille zur Macht released in February 2002 and did very well for itself critically and financially. With the two biggest companies of the JRPG world, Square and Enix, merging under one roof in 2002, Monolith Soft looked like it could step up to be the next big player to fill in the gaps now that competition had all but dried up. Somewhere between the first and second game though, the magic was lost. Xenosaga Episode II: Jenseits von Gut und Böse changed its graphical approach, stripped down its mechanics, and was just a dull game to play through. Critics and fans responded accordingly, and it failed to meet the expectations of the first game. Bandai Namco cut back on its grand plan of six games, settling for just three. Xenosaga Episode III: Also sprach Zarathustra is seen as a return to form for the series, but the damage had already been done. The critics liked it, but many fans had already moved on with the disappointment of the second game. Monolith Soft would go on to develop Baiten Kaitos for Nintendo before scoring it big again with the Xenoblade Chronicles games on the Wii and Wii U, and Bandai Namco has stuck to its guns with the far more successful and easy to develop Tales games. I do understand that you all are desiring "Xenosaga HD Collection". Also, I do appreciate all your passionate comments. I do understand your feeling to "tweet every day until the day Xenosaga HD collection comes real". However, what I need in order to achieve your dream, is not to have tweets from the "same person" sent to me every day. It has been a long time since Xenosaga has been released. It really brings back memories of those days they were developing the first Xenosaga staying up all night, when the TEKKEN Project was also staying up all night on the same floor at office. A while back, triggered by the overseas version of Project X Zone, I have conducted a research and calculated if there is a business chance for Xenosaga HD Remaster. It was a very simple research at that time. Yet, research does cost money. And at that time, I was not able to seek business chance. In other words, I was not able to find the necessary market size that will pay for the development fee needed to create the HD remaster. Back then, the reactions on [social networking sites] and unique users were rather few in number. It may be that I didn't work hard enough. Measures such as Kickstarters are as of last resort, and at any rate we will not have a chance of winning as it stands now. It will not gather people by crowdfunding without creating some kind of big movement to support it. To be honest, I was about to give up and I'm troubled. What I need, are the voices from many fans. This is a little different from having "messages sent every day from the same person". Although I do understand the deep love for the game, more than that, the cheers from as many "unique users" as possible is what is needed. Digging further, I will not be able to believe comments like "I'll buy 100 copies!". Most companies will not believe in it. It is not realistic for one person to tweet 100 times every day, or buy 100 copies alone. It's more realistic if you bring 10 fans to the game (not to mention, it wouldn't mean anything by having the same person suddenly creating alternate accounts. I will be able to tell those). What's important in these kinds of cases is the number of unique users. It means more to have 100 people mentioning they want the game one time, rather than having one person repeating it 100 times. A miracle would happen if several tens of thousands are gathered at the end. Naturally, an online campaign is already in effect to make this happen, calling itself Operation KOS-MOS after the series' most iconic character. If you would like to see the return of Xenosaga, you can check out their Twitter and Facebook page to lend your support. Who knows? If Xenosaga makes a successful comeback, maybe Konami will get to work on a Suikoden HD collection.